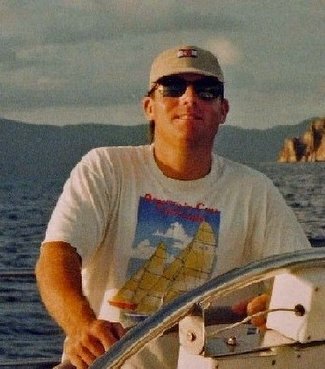 There's an interesting piece on Paul Cayard in the Marin Independent Journal today, but the real news comes to us today from Eastport, MD...a true blue sailing republic next door to better known Annapolis. According to The Capital, after nearly 38 years of business Viking Boat Supplies in Eastport will..."throw down the anchor and close for good next month." Owner Peter DeSilva, 75, has been at it since November 1969. What I enjoy about this story is that Pete, a graduate of Harvard with a MBA from Wharton, was always more interested in running his own business than working for a big corporation. I've also written about Fawcett Boat Supplies on the Annapolis City Dock. Fawcett was (and still is) a family business as well and though ostensibly a competitor of Viking - both chandlary's represent the business acumen of zealous sailors who were wise enough to combine their work with their passion. These people could have done anything. They chose something that they loved and success - though never assured and not without effort - definitely followed. It's a good lesson for me to keep in mind.